The Blog Hop-a-long for Bunny Hop Border Fun! Hop-a-long for Bunny Hop Border Fun! 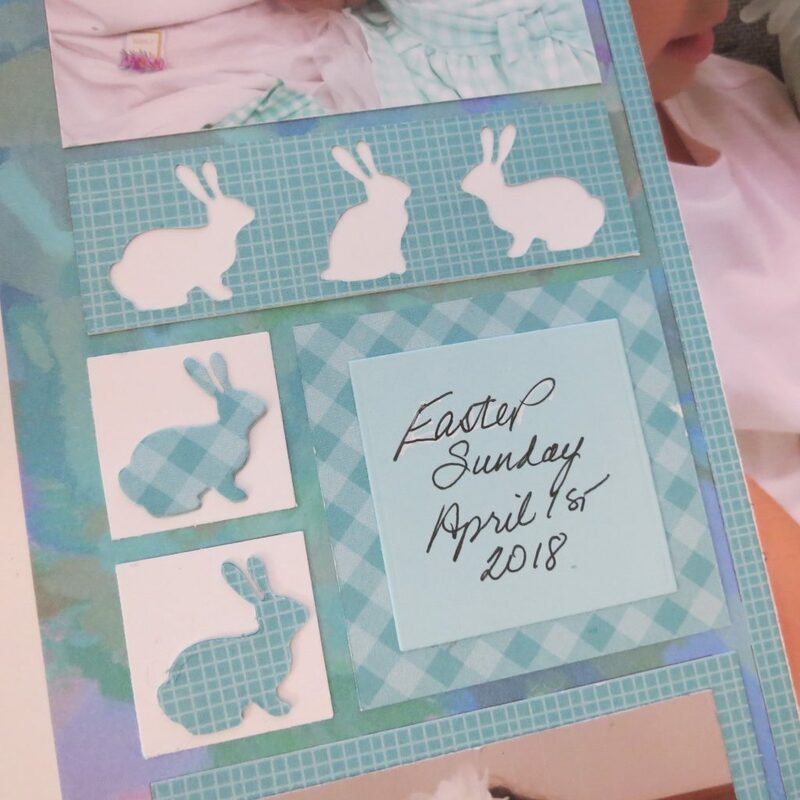 The Bunny Hop Border Die Set is featured with the new Grid Paper “Love” from the Happiness Collection in this Easter Sunday layout. This week the girls had matching outfits in an aqua gingham pattern. They looked so adorable! 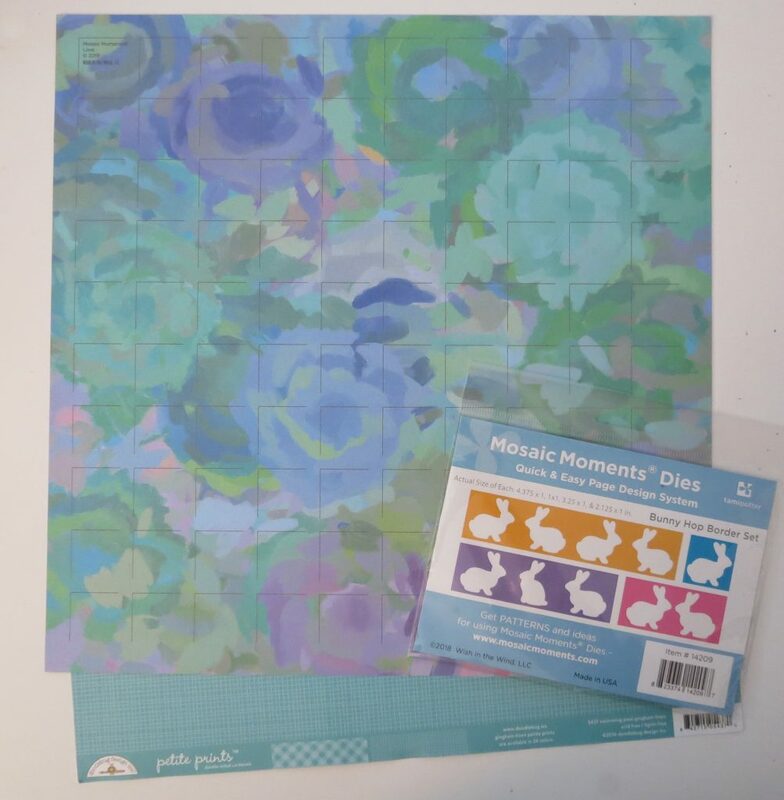 With this new grid paper and Doodlebug Designs Gingham and Linen in Swimming Pool to add the perfect color touches for the mats, journal spots as well as cutting the die pieces the page came together quite quickly. 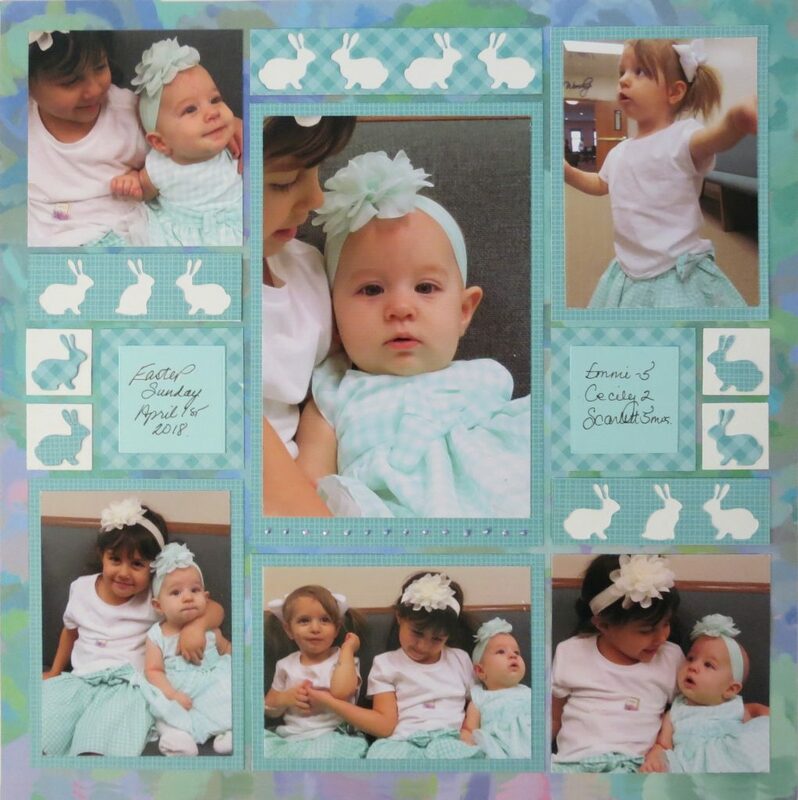 The new Bunny Hop Die Set includes a 1” square, a 1×2, 1×3 and 1×4. 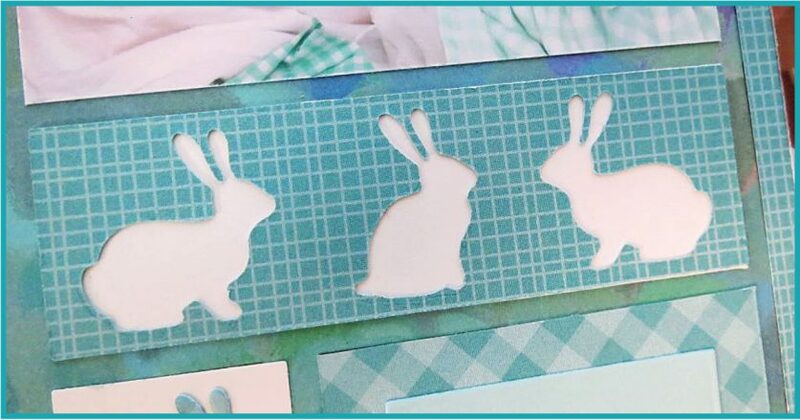 You will be able to use the die cut and the cut out bunnies as well. I’ve used Pattern #270, a column pattern that gives me a large focal point, several squares in several sizes and three smaller rectangles for horizontal and vertical options. 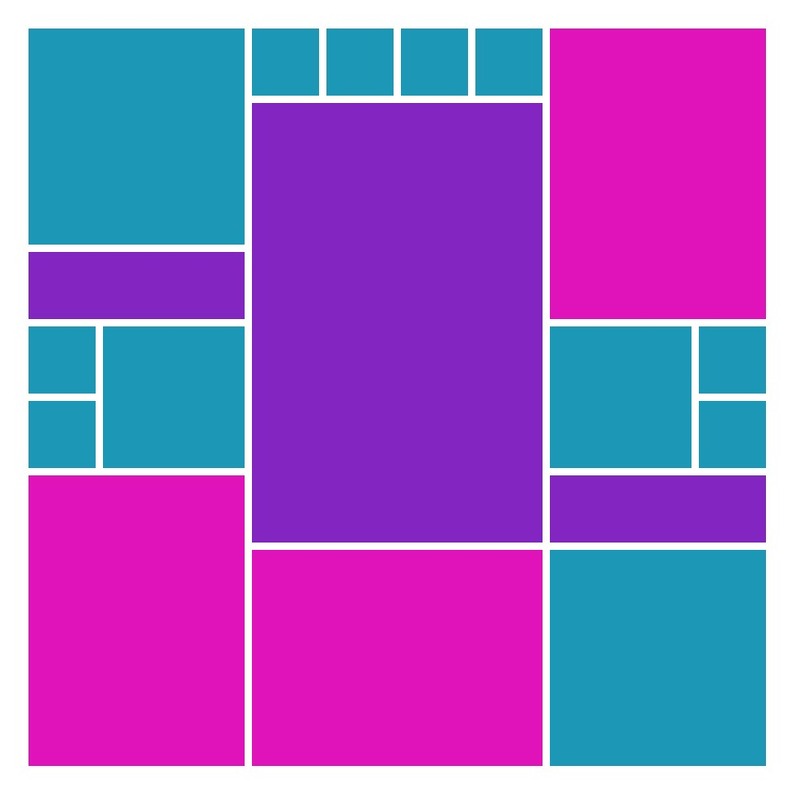 I have changed one section to be able to highlight the 1×4 die and that’s the center 4 – 1” squares. 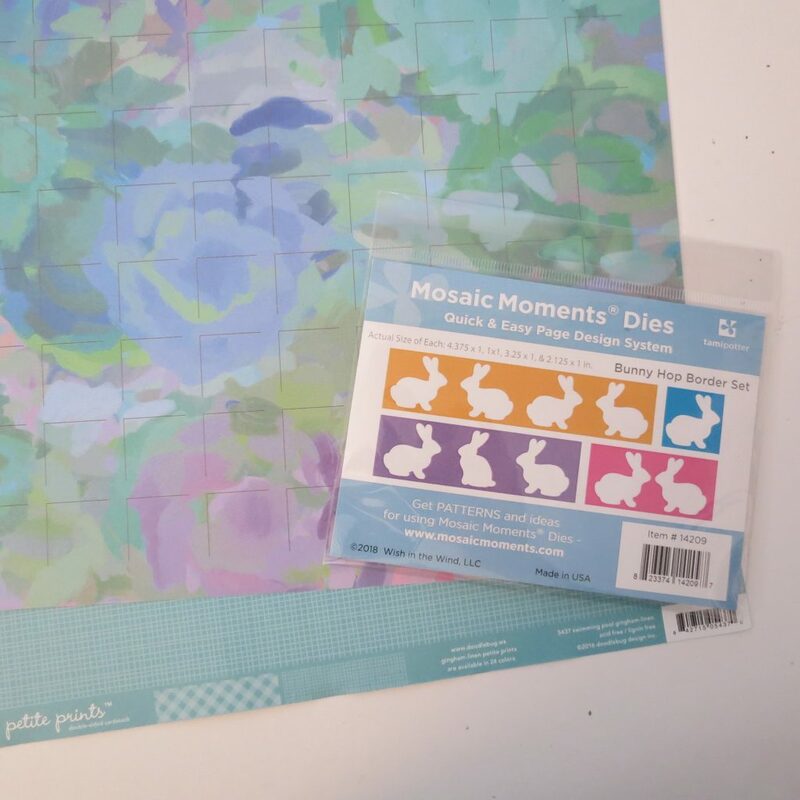 Mosaic Moments Bunny Hop Border Die set The 1×3 die has two types of Bunnies! You will note that the dies are similar to each other, but the 1×3 die has two types of bunnies! 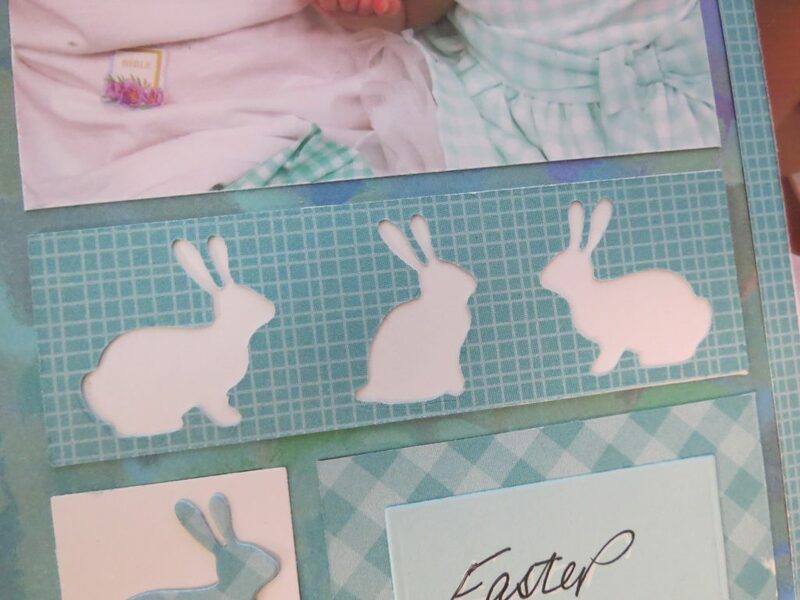 I have backed the die cut with white cardstock and used the bunnies to stack them together and use them outside of the frame work of the die on a 1” white tile. I also used both sides of the patterned paper for more interest. I had planned to add bunnies to the wider bottom edge of my large central photo, but when I was arranging them I thought that there were just too many bunnies multiplying on my page, but it still needed something, and a few Liquid Pearls in Lilac did the trick. I thought it would be easy to get them even following the spaces in the pattern, but they were not as evenly spaced as I thought! 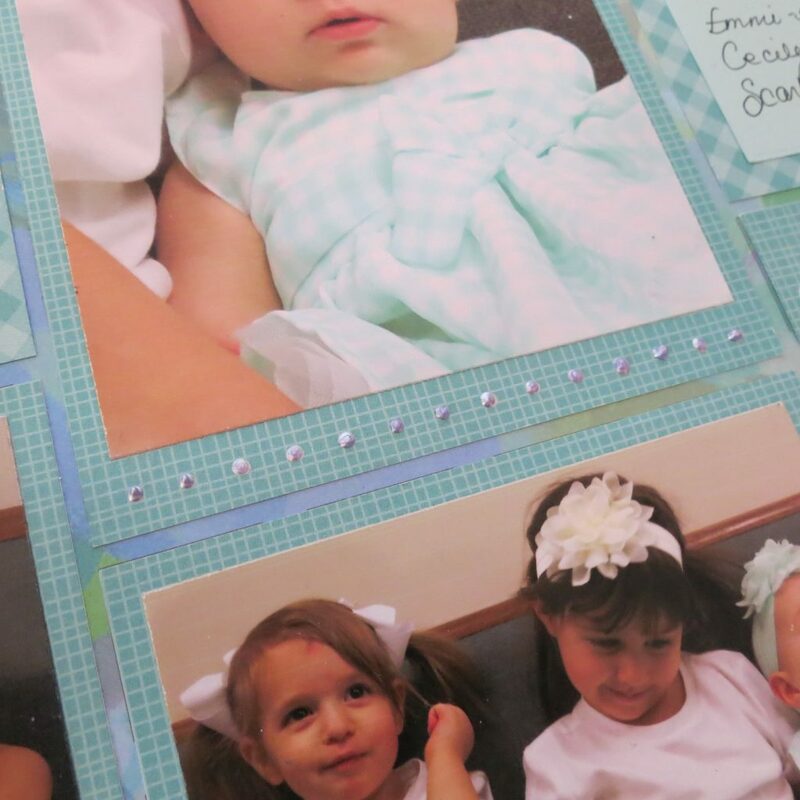 My journaling spots just record the date on one and the girls and their ages on the other. I used a nice wide border to show off the gingham pattern. 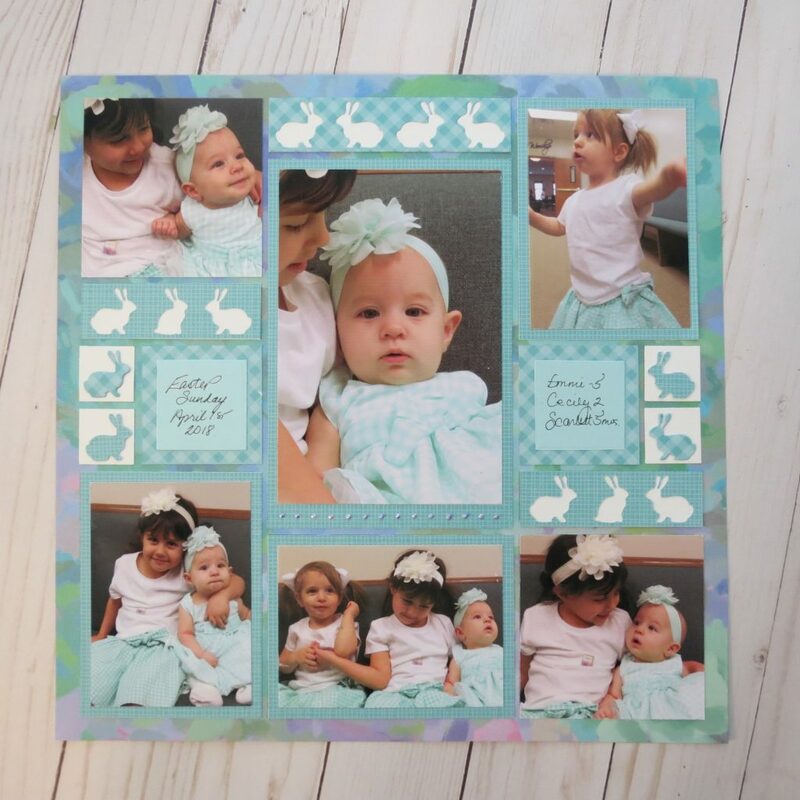 I think you are going to love the new Happiness Collection for all the spring layouts you will be lining up to do! 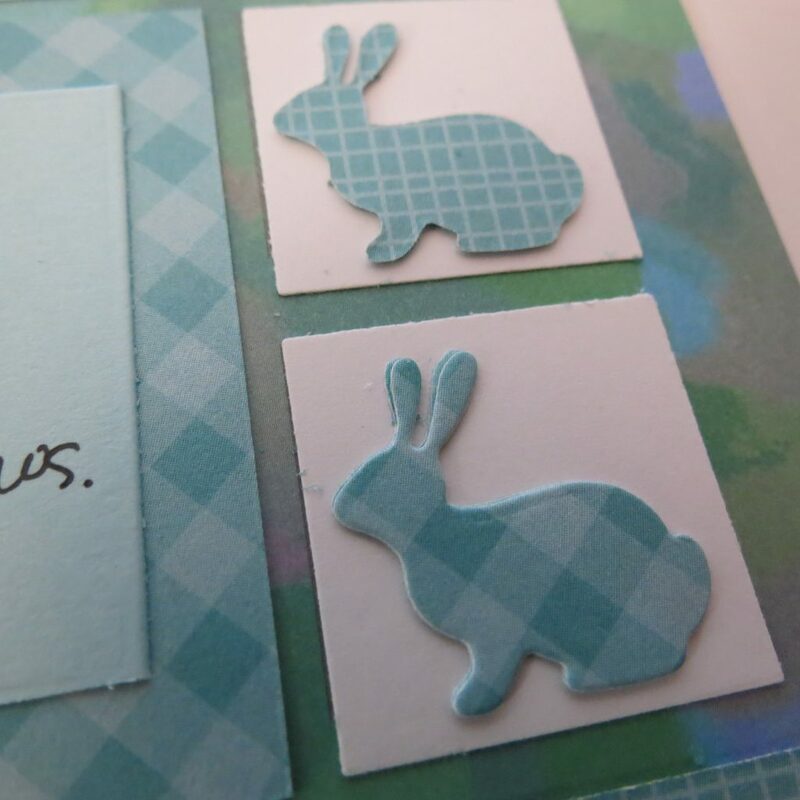 Be sure to try it out with the new Bunny Hop Border Die Set.